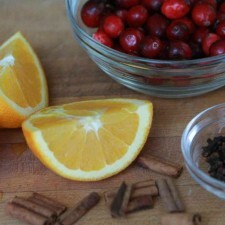 I love the holidays because of all the sweet smells that give your home a great aroma! I’m not a huge fan of burning candles because I have a toddler running around the house so I like to use incense and reed diffusers. 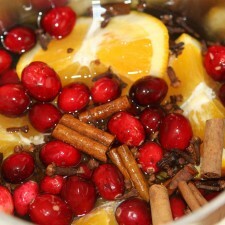 I recently came across a recipe for a stove top potpourri and I was very excited to try it. Most of the ingredients were things you already have around the home, so it is inexpensive and makes the house smell oh so delicious! 1. Cut your orange into quarters. 2. 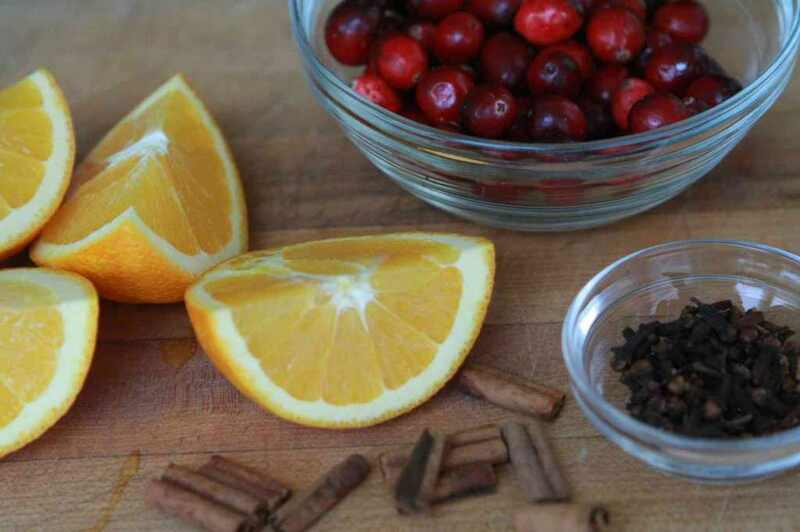 Add oranges, cranberries, cloves and cinnamon to a medium saucepan. 3. Fill saucepan with water and add in coconut oil. 4. Place pan on your stove on a low setting and refill the water as needed. This is a very simple recipe and would be a great holiday gift! 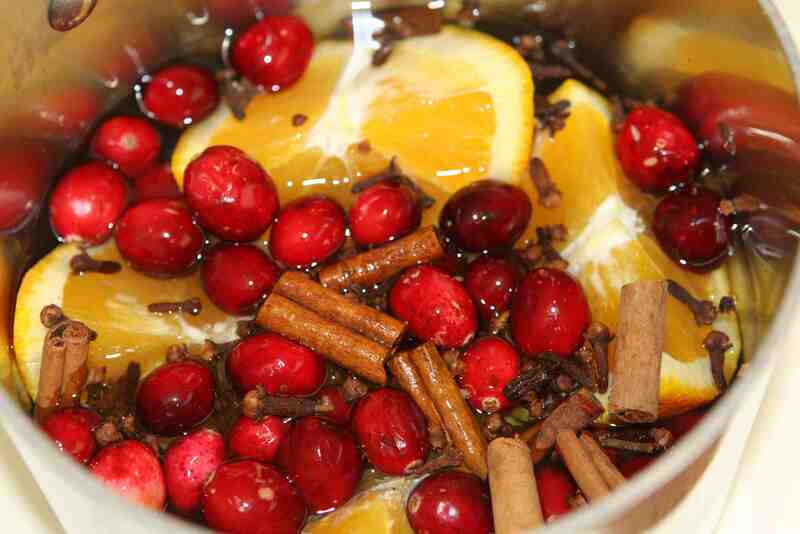 The mix will keep the pleasant aroma for weeks! I added coconut oil to give a hint of coconut scent without overpowering the recipe. What is your favorite scent of the Holiday season?